Do any of these developers give one thought or a care to the fact that this land is home to countless wildlife? They most certainly do not. And where will these animals go when their ancestral land is destroyed and sterilized, and those who were somehow able to survive the bull-dozers are banished forever? There is no good answer … there is no place left for them to go. They will die. Will this be the legacy of Lake Tahoe: buildings, pavement and traffic replacing wilderness, serenity and pristine natural wonder? Is this really what we want? Once it’s gone, we can never bring it back. Right now it’s not too late to stop the destruction, but we cannot be foolish enough to trust the judgment of the county and bi-state agencies (who are obviously pro-development). 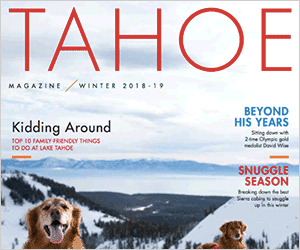 Everyone who appreciates the majesty of Tahoe absolutely must speak up now … or gone will be the Tahoe we know and all of her wild inhabitants, forever.